Additional environmental review of the disputed Dakota Access oil pipeline is likely to take the rest of the year to complete, US officials said in court documents in which they also advocate for keeping the line operating during the study. In this 5 October 2016 file photo, heavy equipment works at a site where sections of the Dakota Access pipeline are being buried near the town of St. Anthony in Morton County, N.D. The Army Corps of Engineers says additional environmental review of the already-operating pipeline ordered by a judge in June 2017 is likely to take the rest of the year. Credit: Tom Stromme/The Bismarck Tribune via AP. Developer Energy Transfer Partners also is asking US District Judge James Boasberg to keep the line open, saying a shutdown would cost the Texas-based company USD 90 million each month. 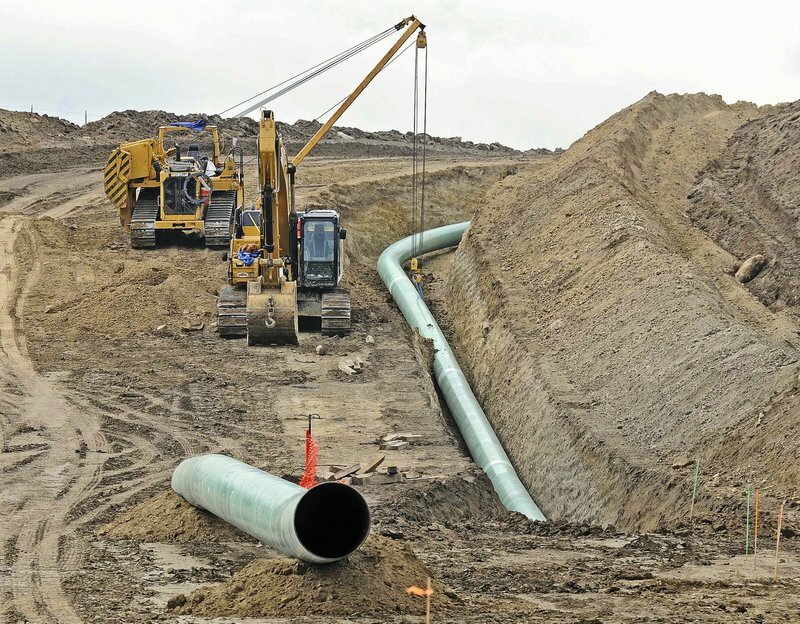 The USD 3.8 billion pipeline from North Dakota to Illinois was finished after President Donald Trump pushed through its completion despite opposition and an ongoing lawsuit by American Indian tribes, who fear environmental harm. Since June 1, it has been moving nearly half of the daily oil production in North Dakota, the nation’s second-leading producer behind Texas—a total so far of more than 18 million bbl, or 756 million gallons.